Nintendo fans have been eagerly anticipating the 'new' 3DS and 3DS XL handhelds since they were first announced last August. Both models hit store shelves in Japan last October, followed by Australia and New Zealand a month later, but since then we've heard very little about an international release beyond "2015." Now, Nintendo is taking its console tease even further with a new Nintendo 3DS 'Ambassador Edition' for Europe. The company is offering the special handheld to select Club Nintendo members and, weirdly, it isn't limited to people in the original 3DS ambassador program. So if you have an active Club Nintendo account, you should probably check your inbox or head here to see if you're eligible. 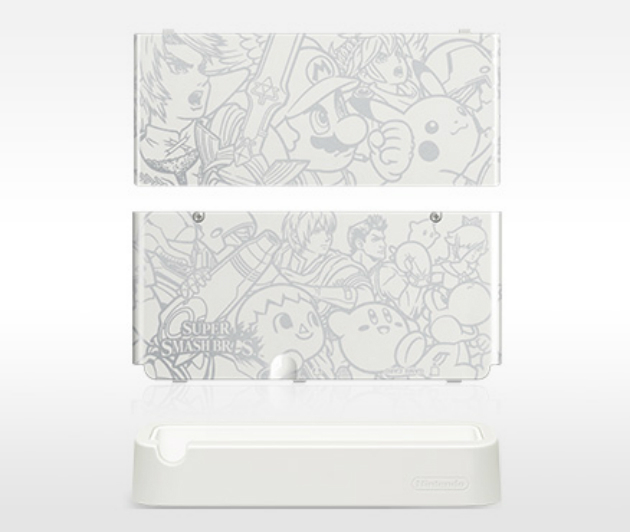 In the box is a white "new" Nintendo 3DS (not the XL) and some exclusive Ambassador Edition cover plates, as well as a slick Super Smash Bros. set in case you want to mix things up. Nintendo is also throwing in a charging cradle, stylus and a 4GB microSDHC card for the £179.99 ($273) asking price. Otherwise, you're getting the usual "new" 3DS improvements, such as the C-stick nub, ZR and ZL buttons, faster CPU and improved 3D visuals via some reworked head-tracking. We still don't know when Nintendo's improved handhelds will be available in the West, but these sorts of promotions suggest they can't be too far away.